In 2015 I purchased a Dragonfly Super Skimmer from your company. 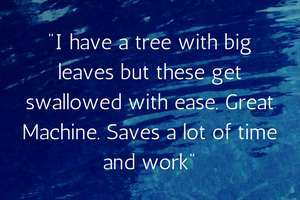 At the time, I’d tried several other bottom cleaners, but I was still having to spend hours cleaning leaves and other rubbish from the top of the pool. 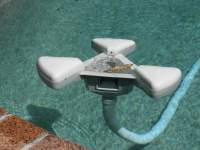 Once the Dragonfly was installed, I was amazed at how quickly the surface of the water was cleared, and how little rubbish seeped down to the bottom of the pool. I now spend very little time cleaning my pool, and much more time enjoying it. I had a small issue once, but a phone call to Dragonfly.Biz brought immediate assistance from the friendly helpful staff. I have no hesitation in recommending the Dragonfly to anybody with a swimming pool. It works so much better that anything else on the market. I have had the Dragon Fly for 3 years now - Its excellent. 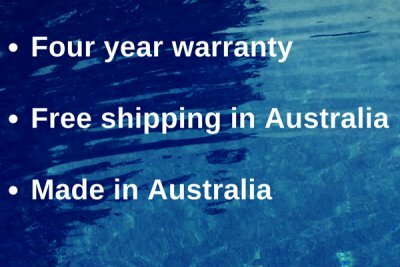 I have a large fiberglass pool and get lots of gum leaves and ironbark pollen. The dragonfly skims the surface and works a treat. 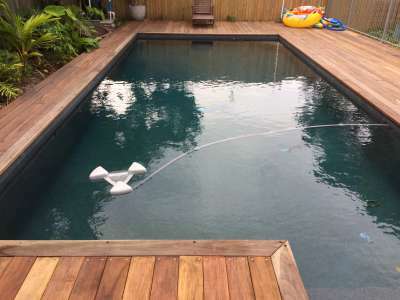 Its also good in summer when the water level drops - We are on tank water so dont always want to top up the pool. The dragon fly keeps on working when the water level is low as it floats. It works BETTER than I believed it would!!! Just a little note that I received the Dragonfly skimmer. I received it about 2 ~ 3 weeks ago and I truly believe it is one of the best pool cleaning devices that I have purchased. It works BETTER than I believed it would. Also, just to let you know, I gave out your website to some other pool owners that I know... You might be getting more orders from some of my friends. The Dragonfly took a little time and experimentat ion to set up perfectly but now it is far and away the best cleaner for removing the large leaves and amount of debris that comes from the nearby park. We recently added Dragonfly Mark II into our pool (&family). Coming across the Dragonfly a few years ago was the best thing ever for our pool, it has never looked better. The floats system on the new unit has only made a great idea even better! Getting away now no longer requires thinking or worrying about water levels or keeping the pool clean. Dragonfly takes care of that. So glad we could adopt Dragonfly Mark II, we would be lost without it. Also, Dragonfly Mark I is still operational but has been retired to the shed as a probably never to be needed backup after many years of faithful service! Thankyou Max for your prompt and friendly assistance. Much appreciated. My first impression of the performance of the Dragonfly Floating Pool Cleaner is very positive. It performed exactly as described. I am very impressed. Within an hour of setting it up all of the leaves, dirt and pollen floating on the surface had been skimmed up. I am very confident that this will solve my ongoing battle with leaves and debris in the pool. Given last night’s results I think a couple of trees in our yard may have escaped the chainsaw. Thank you for my Dragonfly Floating Pool Cleaner. I saw the Dragonfly on ABC’s The New Inventors some years ago and have always intended to buy one. I am delighted with my purchase! 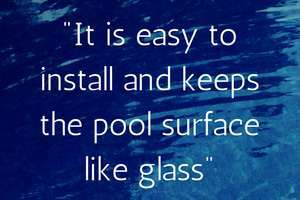 It works perfectly and is significantly reducing the leaf litter on my pool’s floor. Congratulations on your marvelous product, it is truly ingenious! Thanks once again.